Flagstone has been reinvented. 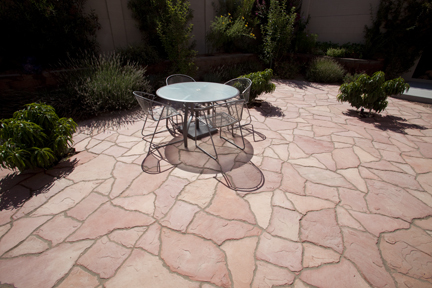 Sereno™ Stone is an interlocking concrete paver system engineered to recreate the beauty of natural flagstone. 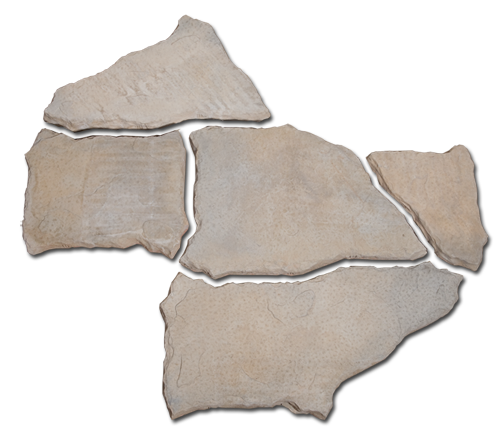 Utilizing our patented XeriStone® Technology, every rock hard shape fits together alone or in any combination to create the natural lines and angles of hand cut stone. Obtaining a designer quality appearance for your most important space has never been this simple. Dimensions : 3.75 in. x 7.5 in. Unit Coverage : .2 sq. ft.
Dimensions : 7.5 in. x 7.5 in. Unit Coverage : .4 sq. ft.
Dimensions : 7.5 in. x 15 in. Unit Coverage : .1.0 sq. ft.
Dimensions : 15 in. x 15 in. Unit Coverage : 1.5 sq. ft.
Dimensions : 22.5 in. x 15 in. Unit Coverage : 2 sq. ft.
Unit Coverage : 3 sq. ft.